Montefiore Conca, about 25 km from Rimini, is regularly listed as one of the most beautiful small towns in Italy – a considerable honour, given the amount of picturesque hill-top towns found throughout the country. 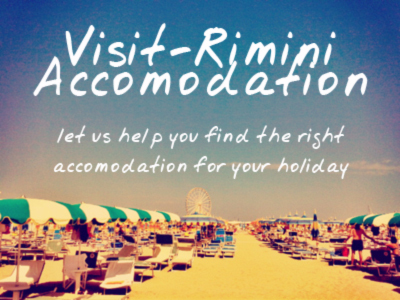 It is, in our humble opinion, one of the ‘must sees‘ of the hinterland around Rimini. Sitting on top of a hill – its name derives from the latin Mons Florum or Montefiore, the Mountain of flowers – in the Conca river valley, the town is dominated by a magnificent fortress built by the Malatesta family in and around 1337. It plays host to two particularly famous gastronomic festivals during the Autumn, the MangiarSano festival and the Sagre delle Castagne (dedicated to the chestnut – castagna). In addition the town is the holder of the prestigious banda arancione, the orange flag issued by the Touring Club of Italy to towns that have achieved an excellence in tourism from the point of view of local production, and the expression of local identity (currently one of 18 in Emilia-Romagna). It’s also listed by the I Borghi più Belli d’Italia, the association of the most beautiful small towns in Italy, and a significant stop on the itinerary that marks the route of the Malatesta Seignory. The first official mention of Montefiore Conca comes in 1136 when the then Pope, Innocent II, cites two churches at Castro Monte Flori, but the town has older albeit unclear roots. The fall of the Roman empire and the waves of invasions that characterised it in Northern Italy probably contributed to the establishment of a settlement here, as people left the plains for the more easy to defend hills nearby – something that continued through to the Xth Century and the Longobard expansion throughout the region. The town was first linked with the Malatesta family in around 1295 when Malatesta da Verucchio took over both Rimini and its surrounding territory, at the birth of what would be the Malatesta seignory (during the Guelph Ghibelline conflict). It became an important part of the Malatesta territory for strategic considerations, and thus prospered. For example, in 1347 the King of Hungary was a guest of the Malatestas in their massive castle of Montefiore Conca. The town passed over, with the defeat of Sigismondo Pandolfo Malatesta, to Federico the Duke of Urbino, and the control eventually of the Papal States. This, in common with many of the other Malatesta controlled towns of the Conca and Marecchia valleys, led to an eventual decline in its importance – partly because methods of conducting warfare changed, and with regional conflict in decline, fortress towns like Montefiore Conca became less important. Any photo you’re likely to see of this beautiful town will feature the castle which dominates the skyline – a medieval skyscraper, as it has been poetically called by Ugo Amati. It was built in 1337 by Malatesta the II, the son of Pandolfo I, and commonly known as ‘Guastafmiglia Malatesta’ (ruiner of the family). During the rule of Sigismondo Pandolof Malatesta the castle became a crucial defensive point during his ongoing battles with both the Papacy and the Duke of Urbino. It was enlarged, to both strengthen its defensive capabilities, and also to make its living quarters more comfortable (a common policy of Malatesta, best seen in the design of his massive castle the Castel Sismondo in Rimini). Aside from its impressive structure, things to take note of when visiting the Rocca Malatestiana in Montefiore Conca include the Malatesta crest in the entrance archway, the fine 13th century well to be found in the Castle courtyard, and a collection of frescoes by the Bolognese artist Jacopo Avanzi depicting various battles. Outside the town, this important sanctuary, maintained by the Franciscan order, is built around a medieval shrine apparently first created by a local hermit, Bonora Ondidei, in the late 1300’s. The original shrine was created in his hermit’s cell, deep in the woods, when he painted on one of its walls a fresco depicting the Madonna suckling the infant Jesus (the 13th and 14th Centuries saw an explosion of artistic interest in the figure of the Madonna, and Montefiore Conca was a stop on the pilgrimage route that brought devotees to the Sancturay of Loreto in the nearby Marche, a Marian shrine of enduring importance). Over the centuries the shrine featuring this famous Madonna Lactans has been surrounded by a church and a beautiful path featuring the stations of the cross. The parish church of Montefiore Conca dates back to the 1200s and has a beautiful gothic portal. One of the principle things to see in the church is a a wooden crucifix from the 1300s, a wonderful example of the so-called ‘Rimini School’ of painting. At the end of the 1200s and the start of the 1300’s, thanks to its location and outlook, Rimini became home to a number of notable artists, and the production of a serious of works largely devotional in nature. Artists like Giovanni Baronzio and Pietro da Rimini, and students inspired by them produced significant works both in Rimini and in the surrounding region including Montefiore Conca. This church also contains a painting of Our Lady of Mercy by Bernardino Dolci, originally attributed variously to Giovanni Santi or Bartolomeo di Gentile. This painting was originally in the little church of the hospital in the town, but after the Second World War was moved to its current location. Montefiore Conca is a great place to visit at any time of the year, but especially so in October, when the town dedicates itself to the gastronomic delights of the Chestnut – found in abundance in the town surrounded by woodlands.